Porsche South Bay is thrilled to offer this exceptional two Southern Ca owner, 6-Speed Manual 1998 Porsche 911 Carrera Cabriolet Finished in the spectacular color combination of Ocean Blue metallic over Cashmere Beige leather with black belt line. Factory installed options include: P15 Power Seat Package C02 U.S. Standard/Emissions 551 Porsche Windstop (Deflector) 490 HI-FI Sound Pkg w/Speakers 446 Wheel Caps with Colored Crest 408 18"Wheels w/Technology Rims P03 Technic Package M6C Porsche Floor Mats-Cashmere 982 Supple Leather Front and Rear A full compliment of extensive service records document an unbroken chain of mileage accumulation dating back to the purchase by the second owner in May of 2000 from the authorized Porsche dealer in Newport Beach. To say that this 993 was over serviced would be an understatement with 15 documented oil services dating to 2001 and culminating with all fluids renewed in January 2019. A new convertible top was installed in June of 2017 and new tires in October of 2014 approximately 6k miles ago. Finally, all original owners manuals and both keys are present. If you are looking for a fully documented, excellent condition last and best year example of the iconic air cooled Porsche 993 Cabriolet you search is over. Contact Carl Tofflemire our Classic Operations director personally to arrange for an inspection and test drive. Clean Carfax, Serviced at Porsche South Bay. Call, email or come in to find out more about this and other pre-owned Porsches at Porsche South Bay, a 2018 Premier Porsche Dealer! Porsche South Bay is thrilled to offer this extraordinary 1996 Porsche 911 Carrera RS 3.8 finished in Grand Prix White over Black with just 26,787 KM from new. The 993 3.8 RS was developed by Porsche to homologate the 3.8 RSR for racing in the GT3 class of the BPR series and later the FIA GT championship This was Porsche's final use of the normally aspirated, air cooled Metzger engine before transitioning to the water cooled 996 GT3. In road trim the 3.8L power plant produces 300 HP which is transferred to the ground via the Type G50/31 six speed transaxle. To further enhance the RS' performance extraordinary steps were taken to reduce weight. Nearly all comfort / luxury items were deleted. Lightweight, thinner glass, aluminum panels in place of steel for the doors and hood, reduced use of undercoating, lightweight Recaro bucket seats and Speedline three piece alloys were some of the many items that made the RS an exceptionally potent track star. The Carrera RS 3.8 is quite simply the ultimate non turbo 911.This example was a recent Japanese market import that was then federally certified for road use in all states except CA. Upon import it received a comprehensive major service along with a set of fresh Michelin Pilot Sports at noted marque expert Rstrada. 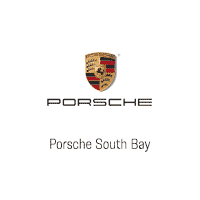 Call, email or come in to find out more about this and other pre-owned Porsches at Porsche South Bay, a 2018 Premier Porsche Dealer!